The initial medical expenses resulting from concussions and CTE are often not that high in most cases and symptoms take years to materialize. Therefore, the Accident Medical insurance carried by colleges, schools, and youth football organizations will not be hit hard since such policies limit payouts for medical bills to those that are incurred within one or two years from the date of the injury in most cases. Most CTE symptoms will show up years after a football career is finished and the Accident policy will be off the hook by that time. Therefore, these Accident carriers won’t take a big hit, which means that significant premium increases and market withdrawals are not likely. The General Liability policies carried by schools and universities cover all the liability exposures such as slip-and-fall accidents, kids falling off playground equipment, injuries at school sponsored events, etc., and concussion lawsuits are only a small portion of the overall risks. 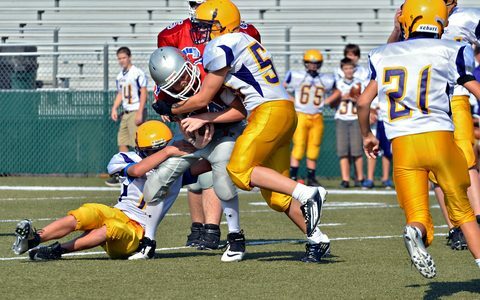 In 2011, only 13 catastrophic brain injuries were reported out of 4.2 million football participants nationwide. The concussion and CTE-related lawsuits in the NFL are currently covered under Workers’ Compensation insurance (which overall allows for the collection of lower benefits as compared to civil lawsuits which would be filed under a General Liability policy) even though some 1500 former NFL players have filed lawsuits challenging Workers’ Compensation as the exclusive remedy. The links between concussions and CTE to depression and suicide are not yet rock solid, even though some limited studies show a connection between NFL participation and CTE. In order to win a lawsuit, a player will need to prove negligence (1. Duty owed to act as reasonable governing bodies, administrators, trainers, coaches, etc. in protecting football players, 2. Breach of that duty by not following accepted safety standards, 3. Breach was proximate direct cause of the injury, and 4. Damages resulted). As a result of the difficulty in proving negligence, the NFL lawsuits are alleging that the league knew about the dangers of CTE, but hid it from the players. In lawsuits against colleges and high schools, no one is claiming that they hid evidence that football resulted in CTE. As a result, the lawsuits against colleges high schools are based on failure to follow accepted safety standards on not removing possibly concussed players from games and allowing too early return to play which may result in second concussion syndrome. Even if a public school or university as an entity, or a coach or other school employee is negligent, many states have governmental or sovereign immunity statutes that protect against liability or at least limit liability to an amount such as $300,000, $500,000, or $1,000,000, depending on the state’s version of the law. These immunity statutes can be defeated upon proving gross negligence. Some state concussion statutes also limit the liability of coaches, trainers, and other medical professionals when complying with the requirements of the statute unless they are grossly negligent. The assumption-of-risk defense to negligence can be a powerful tool if the players receive an adequate and documented risk warning of the dangers of concussions. If universities and high schools follow the concussion safety standards outlined by state statutes or their state or national sanctioning/governing body, they have a high level of built-in protection. The governing bodies such as the NFL, NCAA, and National Federation of State High School Associations will implement rule changes to provide more protection as more research results become available. Source: Will Oremus. “After Further Review, Why Concussion Lawsuits Won’t Bring An End To Football,” www.slate.com. May 10, 2012.